I still vividly remember our last transfer day. It was hot, and I was nervous. Nervous that the embryo might not have thawed well, nervous about another miscarriage, nervous about starting yet another year off with the potential for disappointment. I remember how many times the doctor had to attempt the speculum placement. I remember them commenting that the embryo looked lovely. I remember keeping my legs tightly closed the whole drive home; something I've done after every transfer, even though I know it makes not a shred of difference to the outcome. For anyone who's ever done IVF or who has never fallen pregnant of their own accord, that window after a transfer is magical. It's full of possibility - for a while, even just for a few short days, you're closer to being pregnant than you've ever been before. That shot that most couples get once a month, it's finally yours, after what feels like constant waiting. Those days have a lot riding on them, since it may be several more months before you get that chance again, if you're lucky. You wait, you pray, you scream at the universe, and you pee on a million sticks. Most times it doesn't work. But sometimes.. just sometimes, it does. One year ago today, we 'met' our Claire for the first time. And now, she's here. I can't think of anything more amazing. 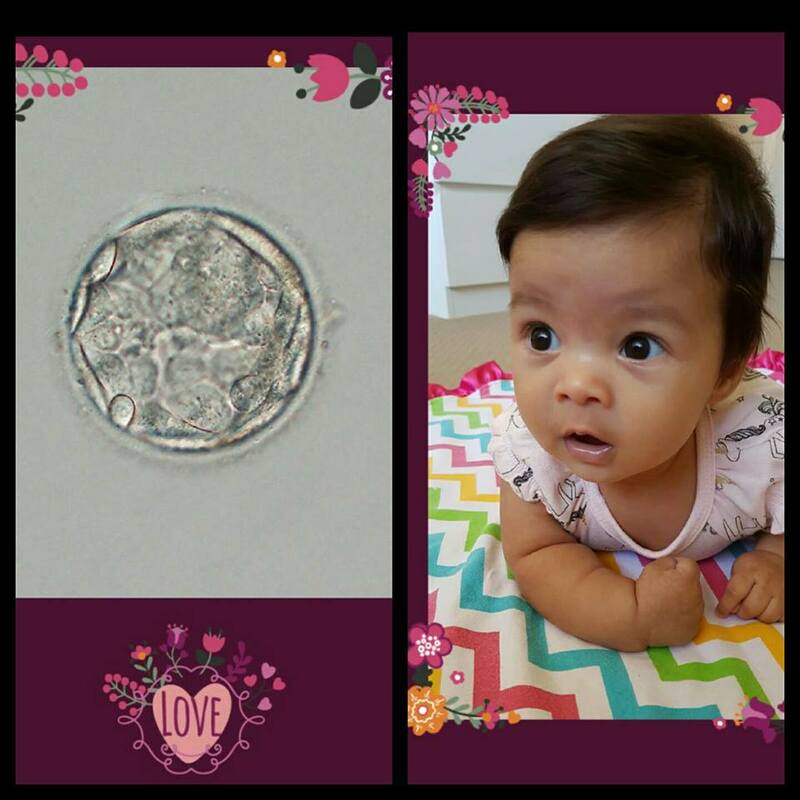 This entry was posted on 12:13 and is filed under Baby C , FET , IVF , Round #5 , Trying for Baby #5 . You can follow any responses to this entry through the RSS 2.0 feed. You can leave a response, or trackback from your own site. Seriously, it's the most amazing thing!